Smith often analyses race through surreal, fragmented figures in her art. Her exhibition A Litany for Survival at Boston University Art Galleries last year featured a colourful mix of paintings depicting disjointed heads and limbs. The works in New York, created as part of her 2018-2019 Queens Museum/Jerome Foundation Fellowship for emerging artists, are similarly fantastic but also carry religious and cultural motifs. This stems from the burial ground’s connection to the nearby Macedonia African Methodist Episcopal Church in Flushing, Queens, a historic stop on the Underground Railroad; early members of the church are interred at the site. The last burial at the site was in 1898 and in the 1930s, the New York City Parks Department paved it over, constructing a playground there soon after. In November 2006, the burial ground was reclaimed as a memorial through the efforts of the community activist Mandingo Tshaka and former New York City Councilman John Liu. Most recently, Mayor Bill de Blasio announced a $1.6m memorial for the site. 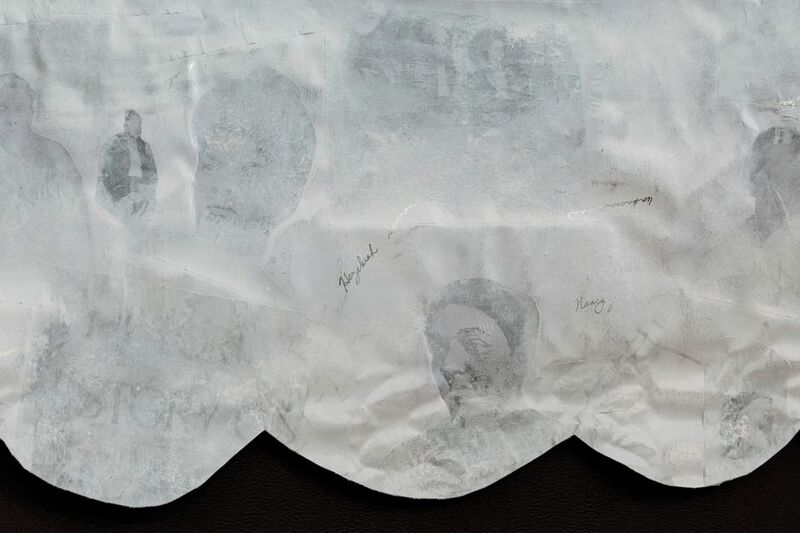 At the Queens Museum, Smith has created an immersive installation in which the buried women’s names are written on a wall in silvery ink, while music composed by Liz Gré combining Gwendolyn Brooks’ poetry and gospel tones fills the gallery. 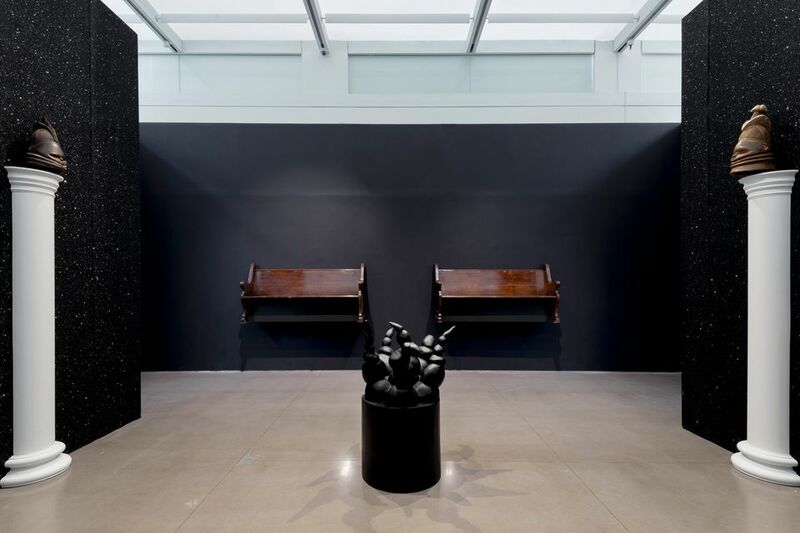 Floating church pews and African masks perched high on columns line the walls of the space. Smith conducted extensive research through archival materials for the project. She also reached out to current members of the church community and descendants of those buried in the cemetery, but was unable to speak with them in time for the exhibition. She did however meet with Robbie Garrison, the co-chair of the Olde Towne of Flushing Burial Ground Conservancy, an organisation that has been fighting for the burial ground’s recognition for decades. Garrison says Smith has done a good job of capturing the site’s history and her somewhat mystical style is “reminiscent of someone who has visions of the past”. Correction: The artist did not speak with church members and descendants of those buried at the site, as we originally reported.